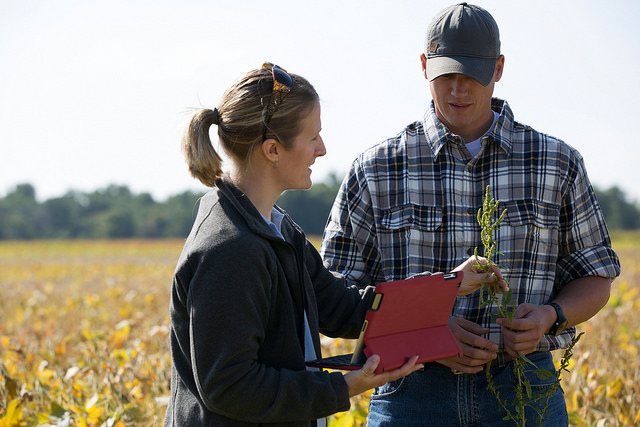 On-farm technology and data management services help farmers make better decisions, boost efficiency, decrease inputs, increase yield and become more sustainable. But with so little unbiased sources of information on technology, it can be difficult to navigate. A new resource called Tech Toolshed helps growers makes sense of all this, maximize the technology they already have, integrate new technology into their operations and manage all the data they have available. Tech Toolshed was created to help farmers adopt ag technology that’s right for each operation in small steps and be able to use the technology and its data to improve best management practices and bottom lines. Check out the new Tech Toolshed website at www.unitedsoybean.org/techtoolshed/ for more information and resources on ag tech and data management.